Skyline Plaza has a multi-storey car park with 2,400 parking spaces spread out over four levels. The parking structure is open 24 hours a day and has disabled parking as well as special spaces for mothers with children. The parking garage is open 24 hours. 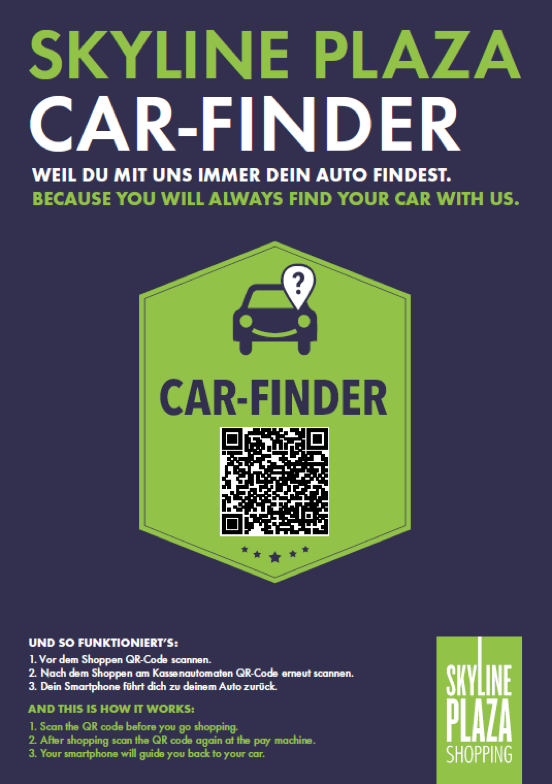 Because you will always find your car with us. Scan the QR code before you go shopping. After shopping scan the QR code again at the pay machine. Your smartphone will guide you back to your car.